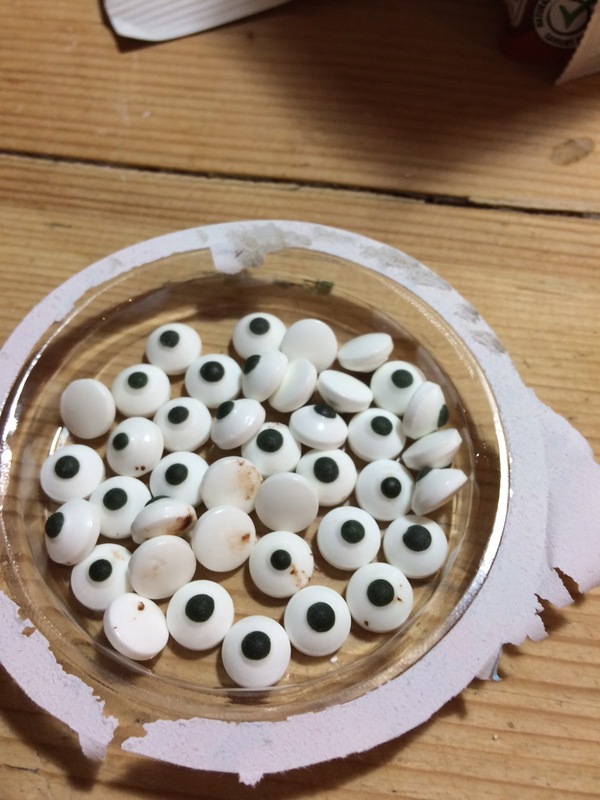 I found the candy eyes in the baking section of Provigo Le Marché i.e. Loblaws Superstores in Quebec - with the prepared icing/baking stuff, but you can also find them at Michael's, Homesense or any cake decorating stores. 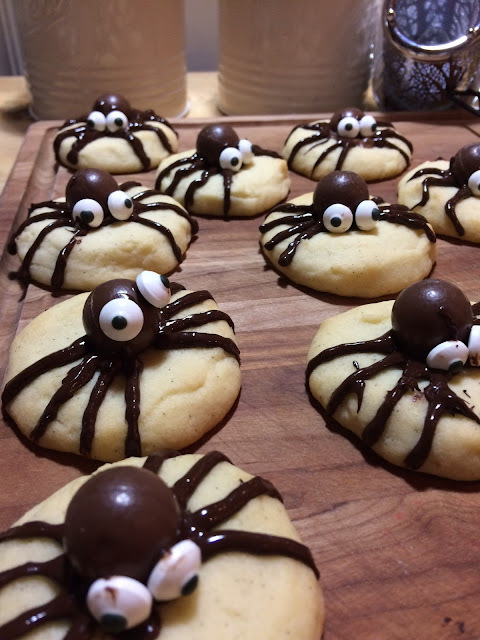 Everyone in my family made one - it was a cute and delicious project! Enjoy! 1. Preheat oven to 325°F - 160°C. 2. Using a mixer, cream the butter (1 cup - 250ml), icing sugar (1/2 cup - 125ml) and vanilla paste (1Tbsp - 15ml) until well blended and light (about 2 minutes at medium speed). 4. Add the dry ingredients to the butter mixture and blend well on slow speed. Increase to medium speed and mix for another minute. 5. Line 2 baking sheets with parchment paper and drop rounded tablespoons of the cookie batter about 1 inch apart. Use your fingers to create a round even shape and press down on the centre of the cookie with your thumb to create a small indent in which you will place the head (Aero bubble). 6. Bake the cookies for about 15 minutes or until they begin to slightly colour around the edges. 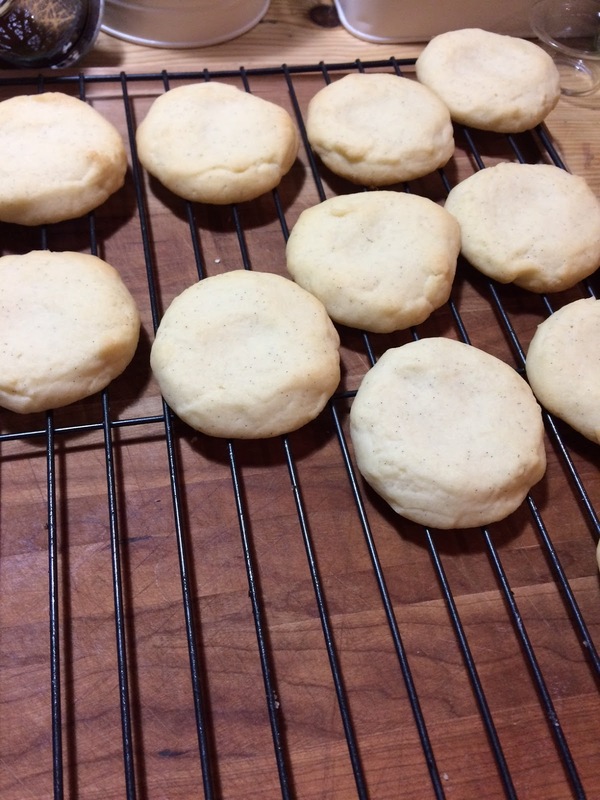 Allow the cookies to cool completely before adding the decorative features. 7. To create an edible glue for the heads to sit on, melt 1/2 cup (125ml) of chocolate chips over low heat in a double boiler and when slightly cooled, transfer to a thick plastic baggie or piping bag. 8. 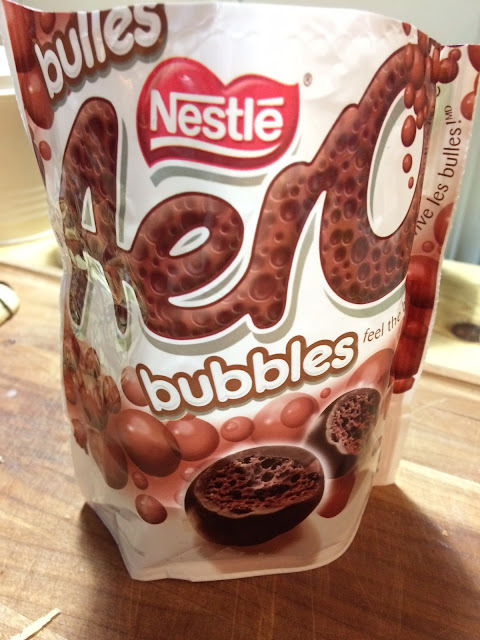 The chocolate should not be too hot when you are ready to decorate as it will melt the Aero bubbles. 9. When ready, snip a very small section of the corner tip of the baggie or piping bag and squeeze a small amount of chocolate onto the centre of the cookie. Place the Aero bubble in the centre. Do this will all the cookies before placing the eyes on. 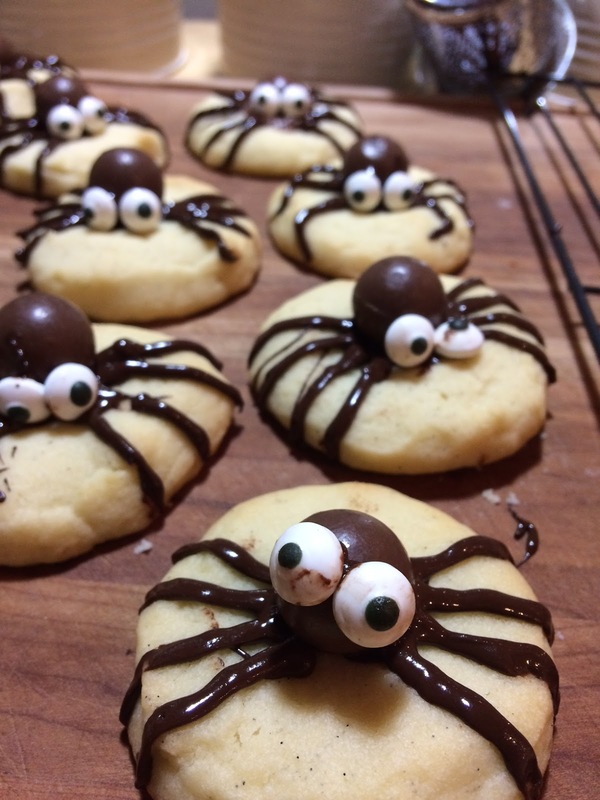 The first ones will then have time to cool, allowing the bubbles to stick to the cookie. 11. Finally, pipe 8 lines of melted chocolate from the head to the bottom edge of the cookie for the legs (4 on each side of the head). Allow the chocolate to cool and set.